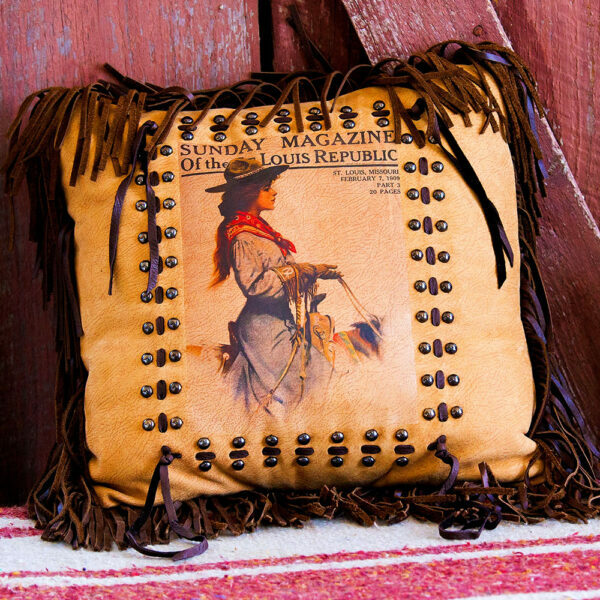 The pillow shows a vintage illustration of a pretty young cowgirl on the cover of Sunday Magazine in 1909. 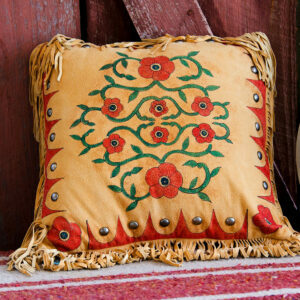 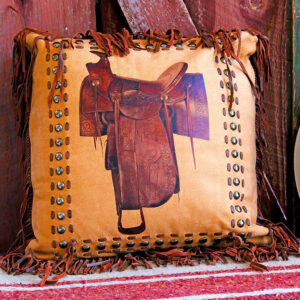 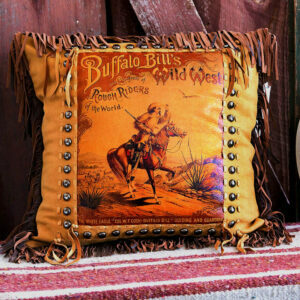 This pillow is made of Aged Cowhide front and luggage colored fringe. 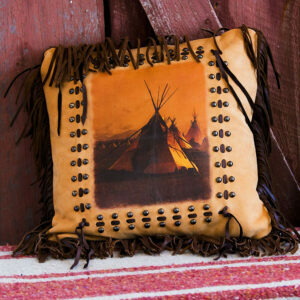 Antiqued studs and lacing frame the image. Back is faux.